Do you love to cook barbecue? I do. Although sometimes I find it difficult to cook BBQ when the charcoals are of poor quality. The charcoal easily crumbles even before the meat is done. 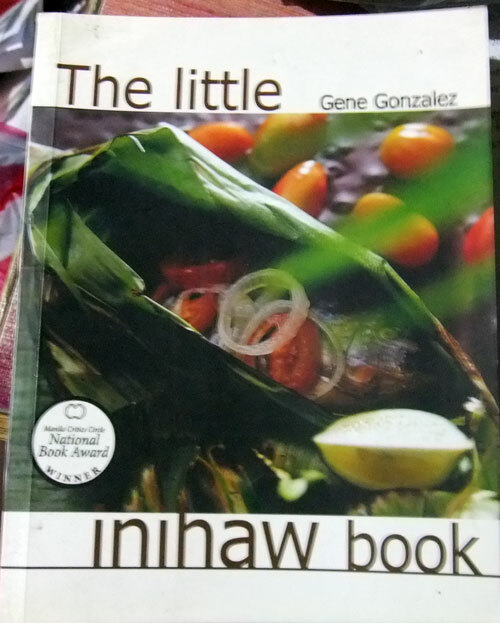 However, if you want to make a delicious and nice-looking barbecue meal, here’s what Chef Gene Gonzalez, a popular figure in the Philippine culinary scene wrote in his ‘The Little Inihaw Book’. 1. Do not use kerosene, gasoline or other chemicals on your charcoal that would produce off-flavors. 2. Control heat by gently spritzing water on hot coals. 3. Use good quality charcoal: do not use resinous woods for cooking. 4. Start your fire with gel fuel or denatured alcohol so your barbecue will not have undesirable flavors. You can also start some pieces of charcoal on your gas stove. 5. Do not pour denatured alcohol directly on the fire or when the fire has started. This could cause a fatal explosion. 6. Avoid using newspapers for igniting your fire. Certain inks contain toxic substances. 7. Follow correct marination time. 8. Serve barbecue immediately. Do not overcook fish and seafood. 9. Grease your grill or rack properly with clean edible oil or oil spray. 10. Soak wooden skewers in water before using to prevent them from burning. Thanks Chef Gene for the tips! This entry was posted in Food Preparation Tips and tagged 10 tips for a good barbecue, chef gene gonzalez, tips for a good barbecue on October 3, 2011 by Yami.